The Invention of Market Freedom (2011) | Moral Markets? How did the value of freedom become so closely associated with the institution of the market? Why did the idea of market freedom hold so little appeal before the modern period and how can we explain its rise to dominance? In The Invention of Market Freedom, Eric MacGilvray addresses these questions by contrasting the market conception of freedom with the republican view that it displaced. After analyzing the ethical core and exploring the conceptual complexity of republican freedom, MacGilvray shows how this way of thinking was confronted with, altered in response to, and finally overcome by the rise of modern market societies. 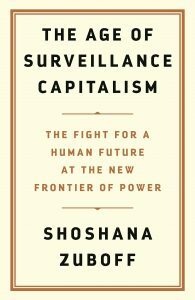 By learning to see market freedom as something that was invented, we can become more alert to the ways in which the appeal to freedom shapes and distorts our thinking about politics. "Charting the history of freedom as a political concept is an audacious undertaking—and that is only one of many tasks that Eric MacGilvray sets up for himself in The Invention of Market Freedom. MacGilvray, an assistant professor of political science at Ohio State University, argues persuasively that over the last two centuries liberals have wrested away the concept of freedom from republicans, ostensibly draining it of moral and political content. In modern society, freedom has been reduced to market freedom—the creation of an apolitical zone in which individuals can exercise consumer choice. Such a definition strips away many of the political dimensions of freedom that existed in earlier republican thought. MacGilvray concludes that the republican concept of freedom should be resuscitated in order to permit a wider political debate. [...] The Invention of Market Freedom successfully problematizes the concept of market freedom. Whether it necessarily leads to a scholarly embrace of MacGilvray's own ideological purposes, however, is another question." "Eric MacGilvray [...] advances a two-part thesis: first, Americans (and much of the developed world) have equated 'freedom' and 'markets' without examining either the logic or the consequences of accepting the equivalence. Second, 'market freedom' is corrosive to republican virtue, perhaps even more corrosive than a central state. 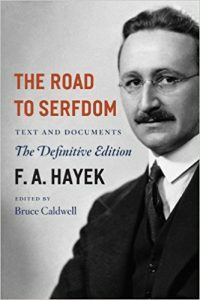 [...] The central thesis of the book is that market freedom is not inevitably the goal, either logically or in consequentialist terms, of those who strive for freedom. Instead, market freedom as a desirable end is contingent on an unexamined (and problematic) set of logical and ideological claims. [...] The argument is interesting, and I am sure that there are some elements that most readers will find persuasive, at least at the margins. But it seems odd to have ignored the most obvious dissenting voices to the argument going through. Dierdre McCloskey's 2006 book, The Bourgeois Virtues, goes unmentioned. Tyler Cowen's 2000 In Praise of Commercial Culture is likewise ignored. These admissions are significant. McCloskey, and Cowen, in different ways, argue that while market society may indeed be dependent on certain freedoms, market systems also create and nurture a space where freedom can be practiced. The increase in wealth, the improvement in the quality and variety of cultural goods, and the time and safety markets create for individuals allow the practice of virtue by the free individual." 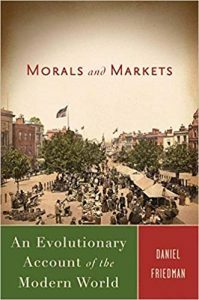 "In The Invention of Market Freedom, Eric MacGilvray traces the development of the market notion of freedom (roughly, 'doing as one likes and allowing others to do likewise') from its republican and natural-law antecedents. His goal is to 'explain how the market came to hold such a privileged place in modern thinking about freedom', with the ultimate purpose of addressing contemporary social debates. 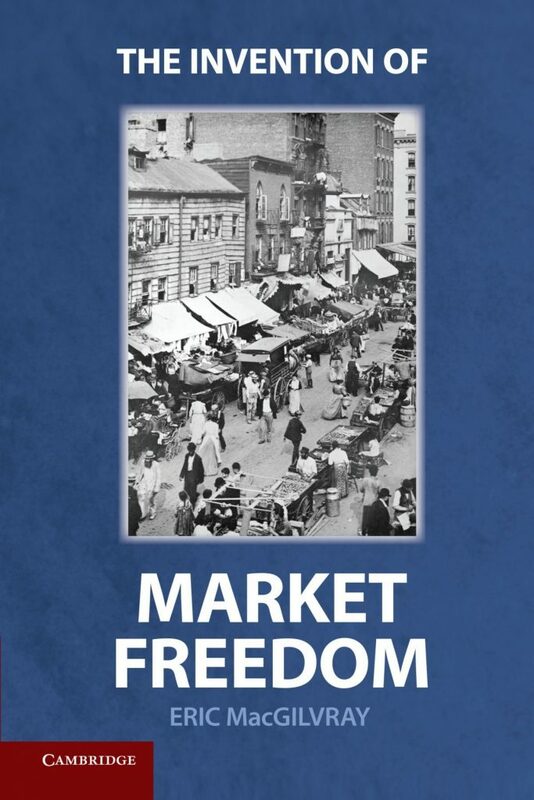 MacGilvray succeeds admirably in achieving his proximate end — The Invention of Market Freedom is an informative guide through a great deal of intellectual history. With regard to his final end, however, he would have helped his readers make greater use of the material he presents by paying more attention to how contemporary arguments about markets both appeal to and ignore their historical antecedents. It is not clear, for example, how the development of the idea of market freedom sheds light on the actual (largely ahistorical) promarket arguments advanced by libertarian thinkers. That being said, MacGilvray has written a detailed genealogy of various ideas about freedom, providing a rich resource for those whose primary interest is to engage in the contemporary discussion of the proper role of markets. [...] All in all, I think that The Invention of Market Freedom is quite a good book. It is not an easy read. It is not a 'one-stop shop' for understanding all there is to know about market-based understandings of freedom. It does, however, provide a nuanced account of the historical antecedents of such understandings, and that is valuable thing." 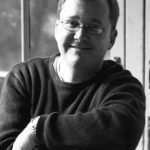 Eric MacGilvray (Ph.D., Chicago, 1999) is Associate Professor of Political Science at the Ohio State University and a core faculty member in the Center for Ethics and Human Values. His research and teaching interests center in modern and contemporary political thought, with an emphasis on liberal, republican and democratic theory and the pragmatic philosophical tradition. He is the author of The Invention of Market Freedom (Cambridge University Press, 2011) and Reconstructing Public Reason (Harvard University Press, 2004). His articles have appeared in the American Journal of Political Science, the Journal of Political Philosophy, Political Theory, and a number of other journals. He is currently working on a book entitled Liberal Freedom.